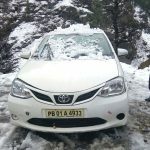 We providing Ac and Non Ac Luxury Tempo Traveller form Chandigarh to Shimla City Tour Packages. Shimla Railway Station and Airport Pickup and Drop Services with Tempo Traveller. 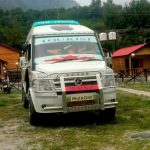 15+1 seater ac tempo traveller in chandigarh, 12 seater tempo traveller in chandigarh, 18 seater luxury AC NON AC Tempo traveller. We have all type of tempo traveller vehicle for toursim. After the Taj Mahal Agra, Shimla is the most famous tourist destination of India. Tempo Traveler for rent in chandigarh is the best alternative for long excursion furthermore known as royal vehicle. Our tempo traveller has every imperial facilities, We Also provide Car Rental Services in Chandigarh, Volvo Bus Booking in Chandigarh, 5 Stars and 3 Stars Hotels in Shimla, 18 20 27 35 41 and 45 Seater Luxury Volvo Bus Hire in Delhi to Outstation Tour Package. NOTE :- A/C Could Not Allowed Hill Area .